It is the divine and sacred time of the Kumbha Mela, the largest spiritual festival on Earth, the festival of the Nectar of Immortality! 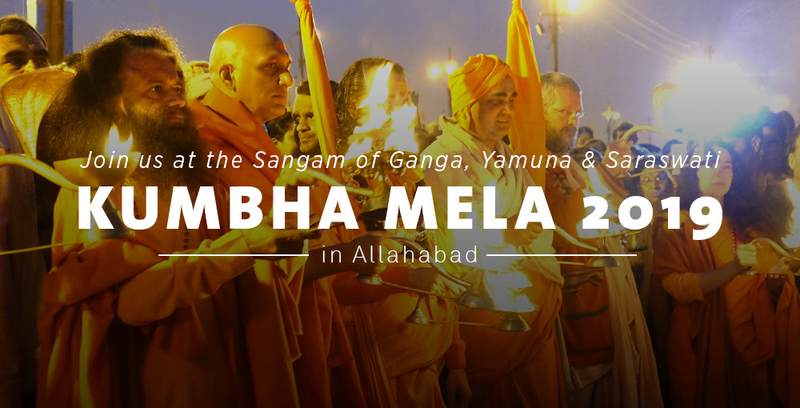 From January 14 - last week of February we will be hosting a beautiful camp in the Kumbha Mela at Prayag Raj (Allahabad) at the sacred sangam (confluence) of the Ganga, Yamuna and Saraswati rivers. The Kumbha Mela is the celebration of the divine nectar of immortality. It is the time when the alignment of the stars and planets is at its most auspicious for having a holy bath in the sacred waters and for performing sadhana and meditation. It is the time when the saints, sages, rishis and sadhus come together to share their wisdom, their insight and their blessings with devotees who throng from all across the world. This year the Mela is expecting a record 150 million people! Every day there will be sacred havan, aarti, satsang, and yoga. Camp will be green, ecofriendly and focused on a Green Kumbha! 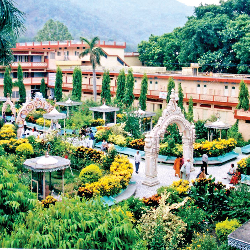 Camp is located right on the banks of the sacred sangam. Contact reservations@kumbhamela2019.org to book your reservation!